The actress Steps into the role that was to be essayed by the late Sridevi. 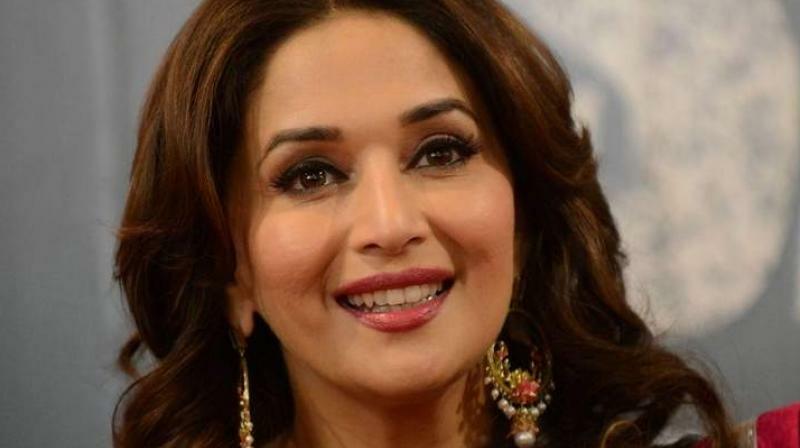 Veteran actress Madhuri Dixit arrived for the first day of shooting for the film Kalank, in which she replaces the late Sridevi. “Madhuri had come to the sets a few days ago for a look test. She was pretty happy with what she saw and here she is on Friday, shooting for the film,” says a source. Karan Johar had wanted to make Kalank 14 years ago and perhaps direct it himself too, but the film is now in the able hands of 2 States director Abhishek Varman. Varun Dhawan says, “Kalank is very special for Karan’s production house, as it has been in the making since 2004.” Varun and Alia are already shooting for the film and have been joined by Madhuri on the sets. Others like Aditya Roy Kapoor, Sonakshi Sinha and Sanjay Dutt have not yet started filming their parts. Kalank is set for release on April 19, 2019.